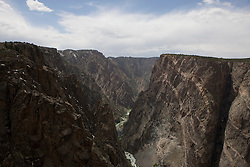 Photographs from Black Canyon National Park - Black Canyon of the Gunnison National Park is a United States National Park located near Montrose, Colorado in the western part of the state. 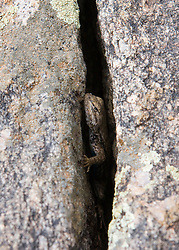 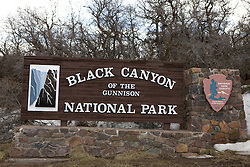 The park is managed by the National Park Service. 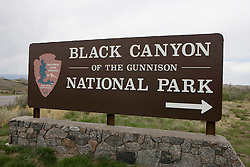 There are two entrances to the park; the more-developed south rim entrance is located 15 miles (24 km) east of Montrose, while the north rim entrance is located 11 miles (18 km) south of Crawford and is closed in the winter. 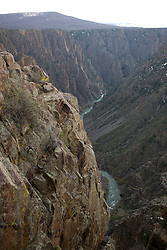 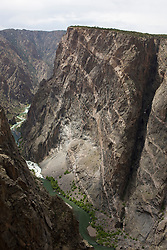 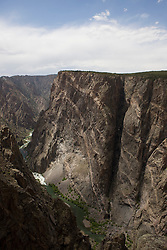 The park contains 12 miles of the 48 mile long canyon of the Gunnison river. 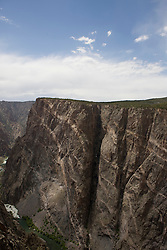 The park contains the deepest and most dramatic section of the canyon, one of the deepest mountain descents in North America. 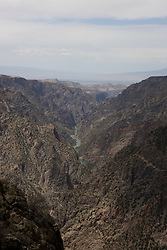 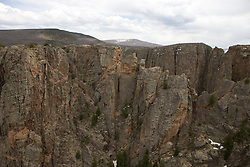 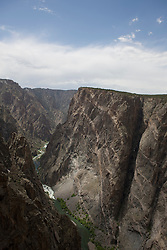 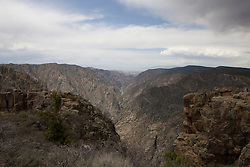 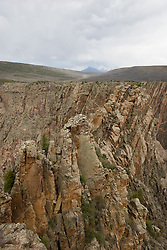 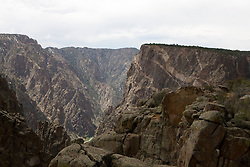 The canyon continues upstream into the Curecanti National Recreation Area and downstream into the Gunnison Gorge National Conservation Area.